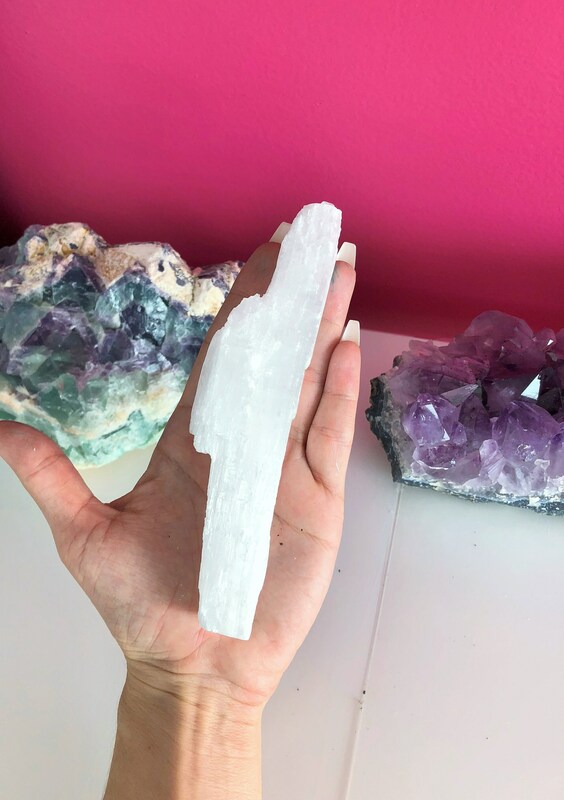 Receive this white Selenite Wand. 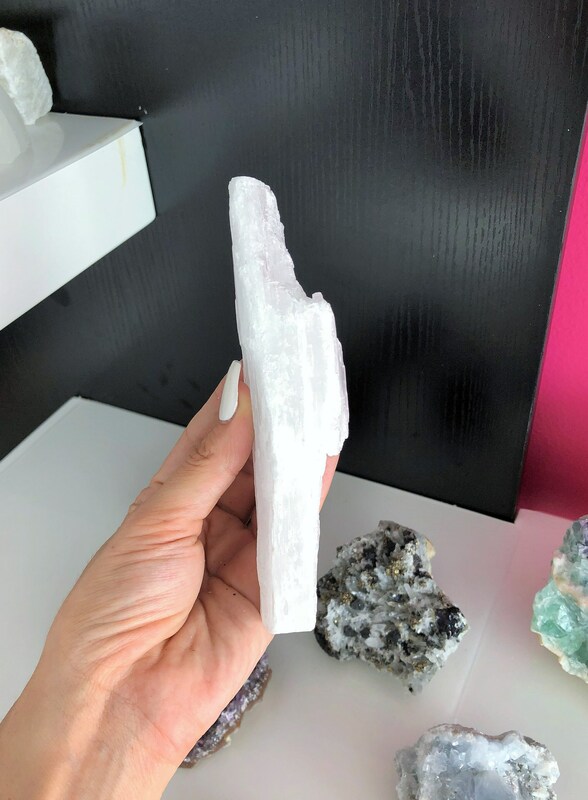 Selenite is one of my personal favorite crystals, because it has many uses. Aiding in communication and contact with your angels or spirit guides to assist you in guidance and protection. 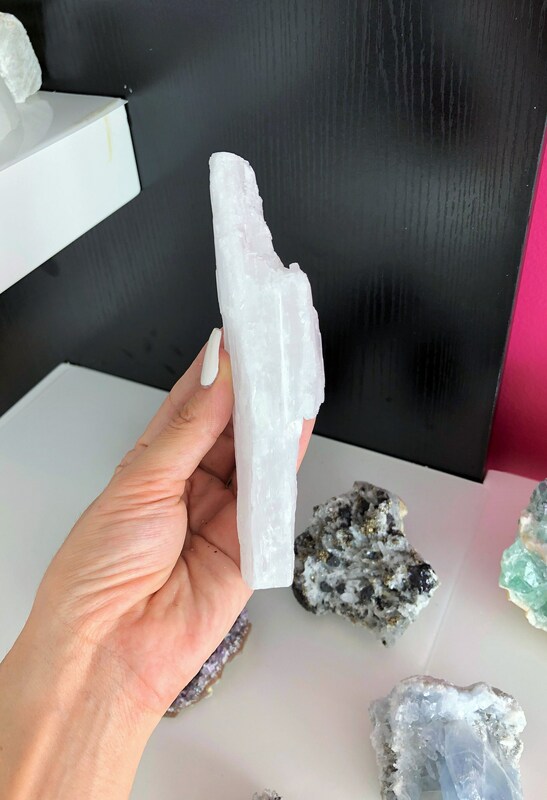 I keep Selenite on me at all times by my door, in my car, and in my pocket for protection from negative energies that may present themselves while providing a peaceful environment. 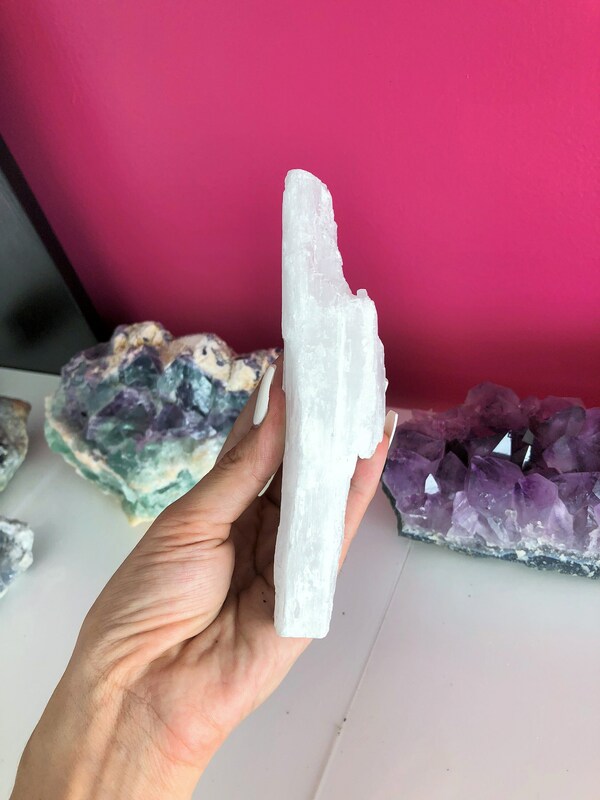 You will receive 1 Selenite Wand. The same one in pictures.